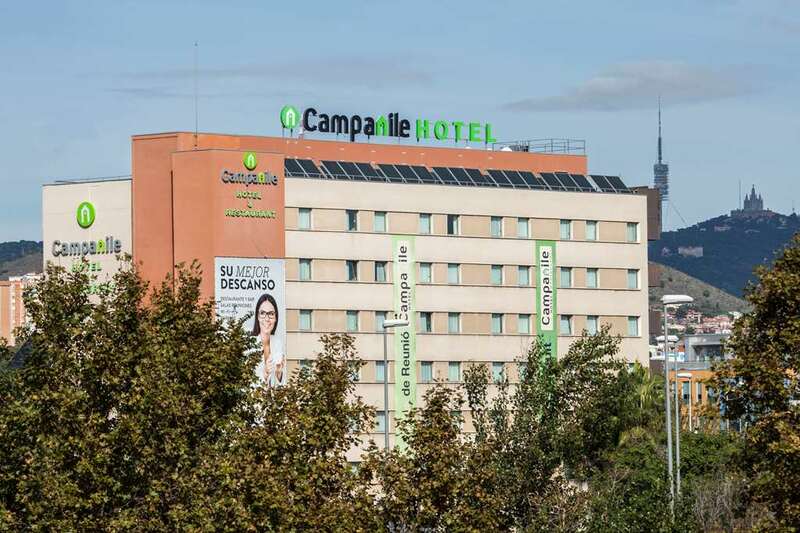 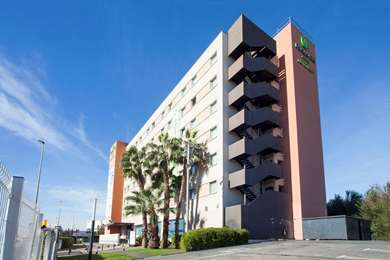 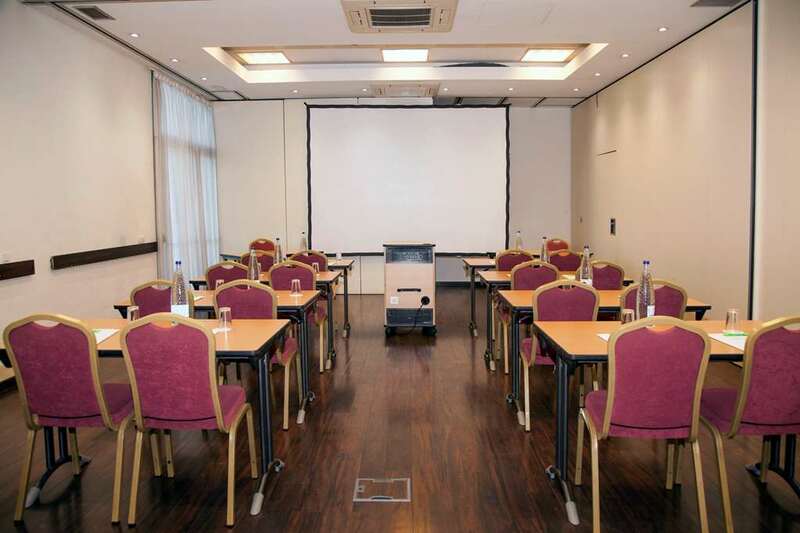 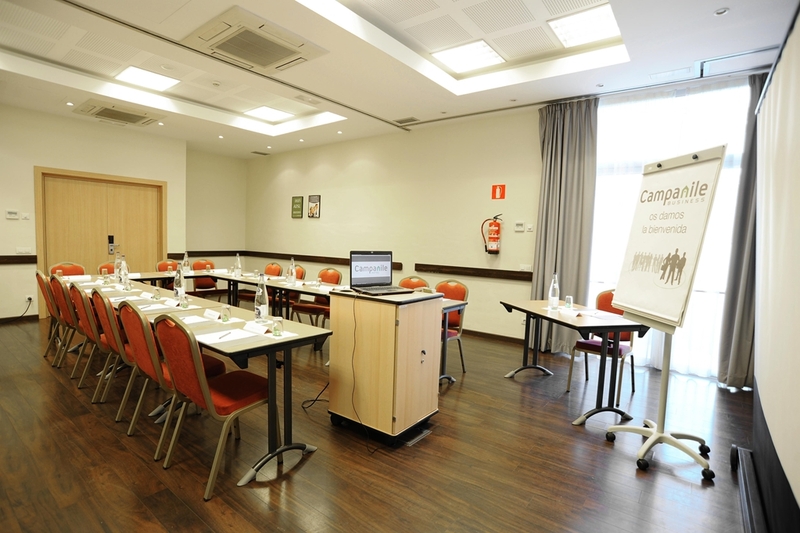 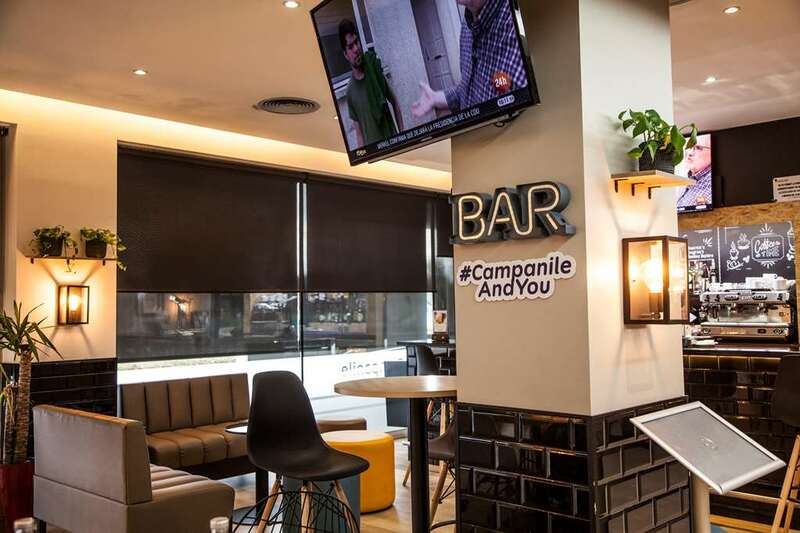 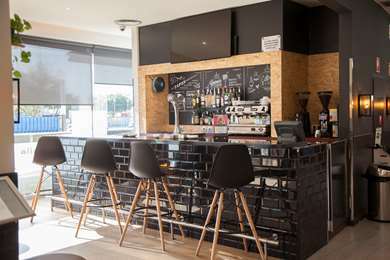 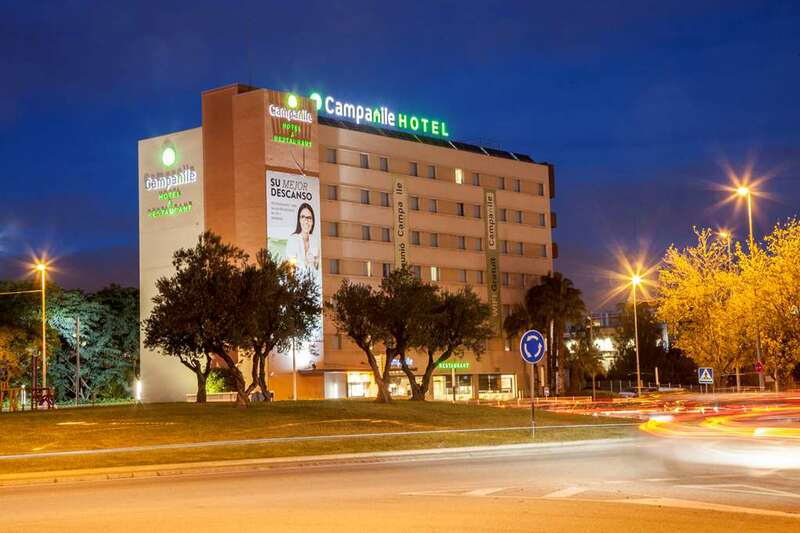 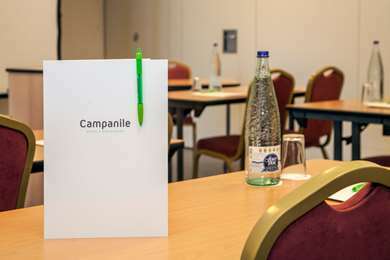 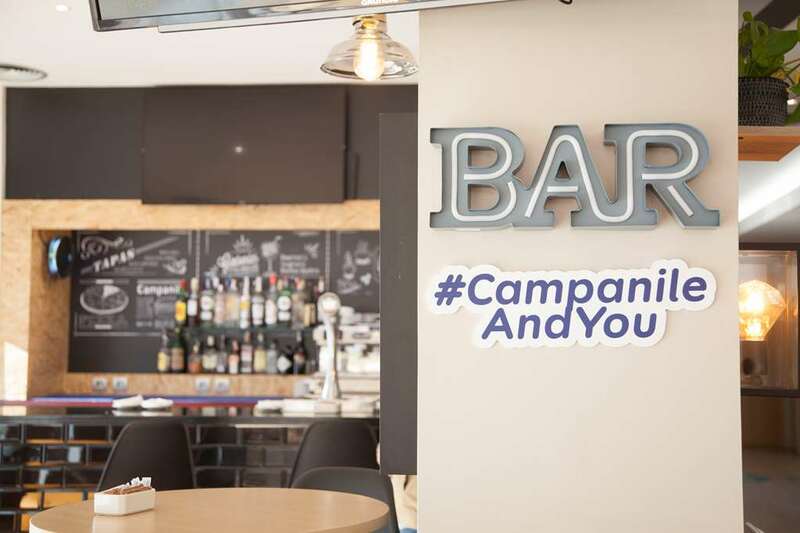 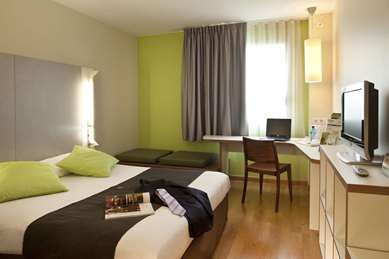 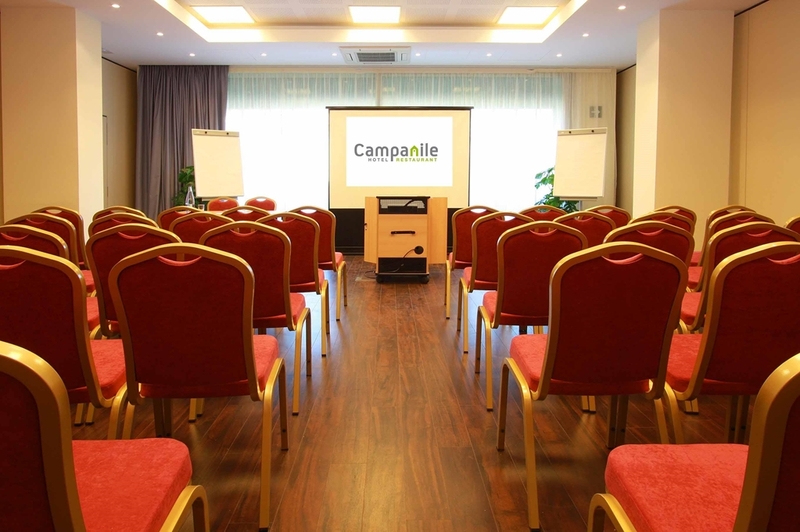 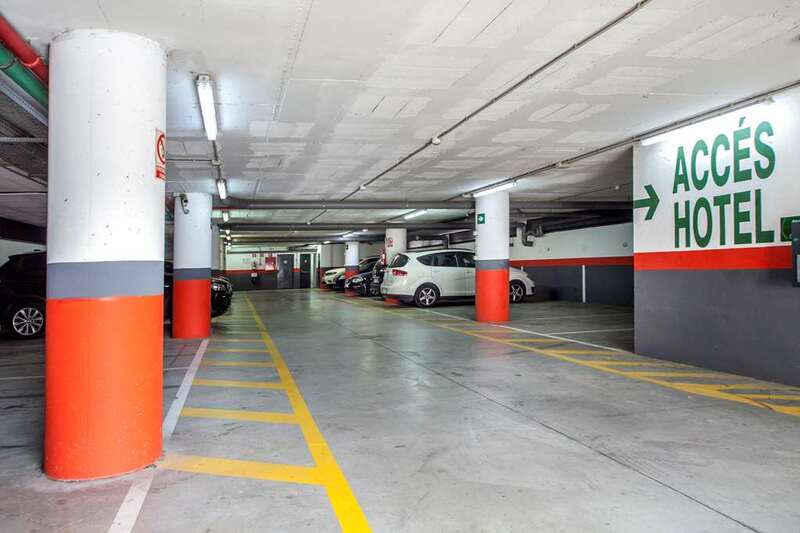 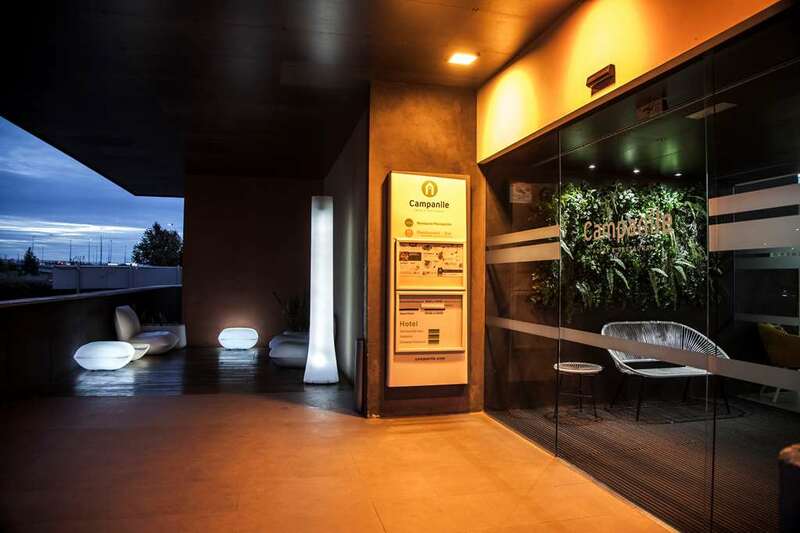 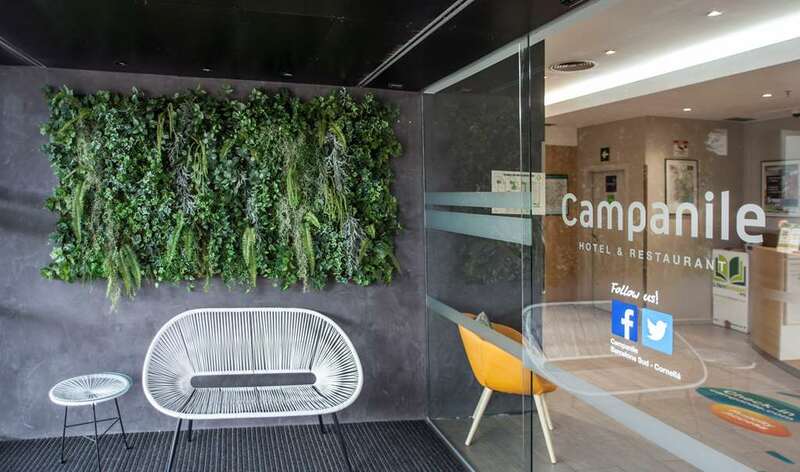 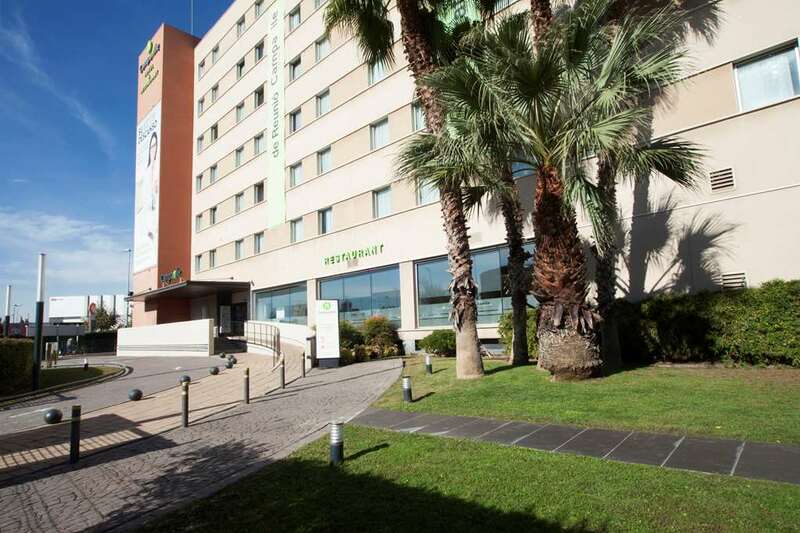 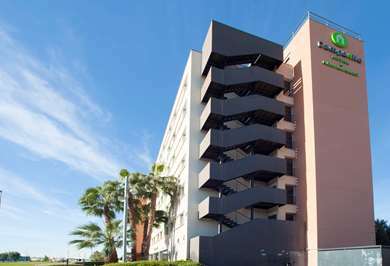 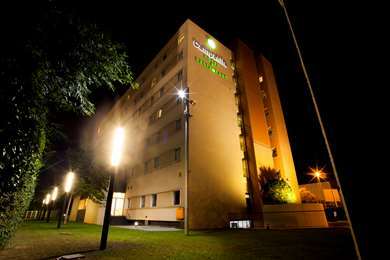 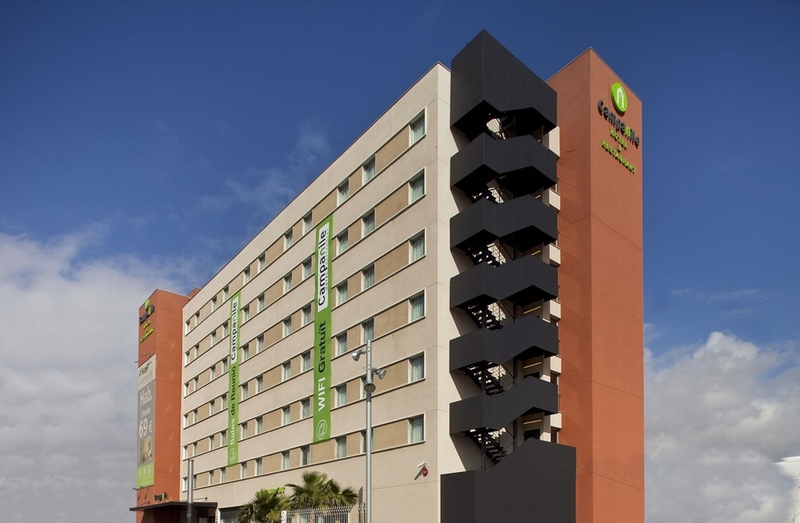 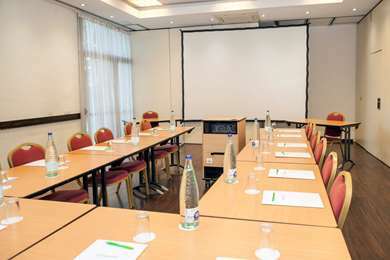 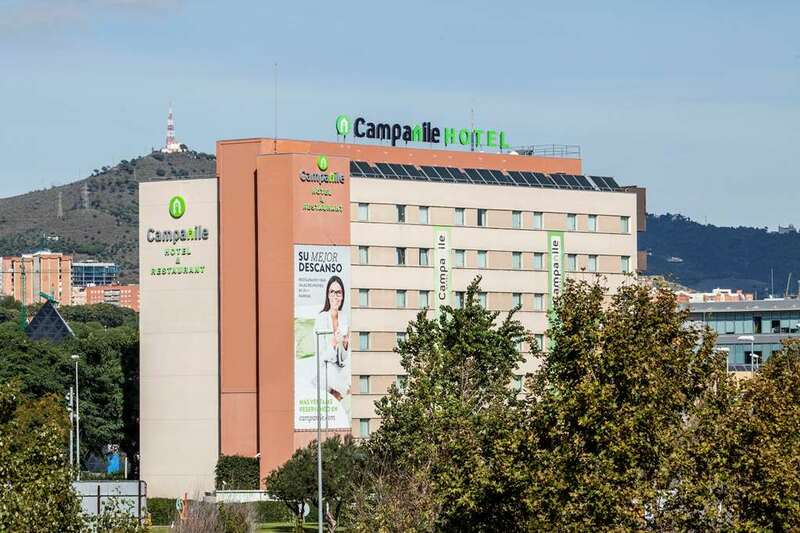 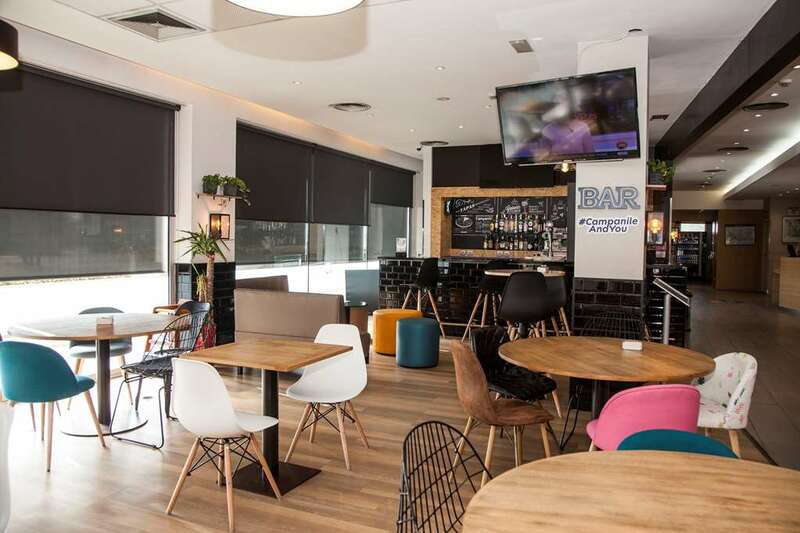 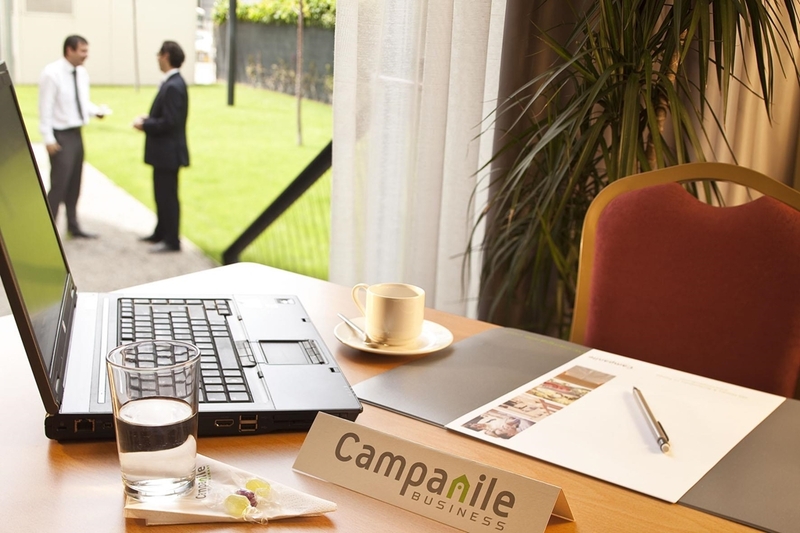 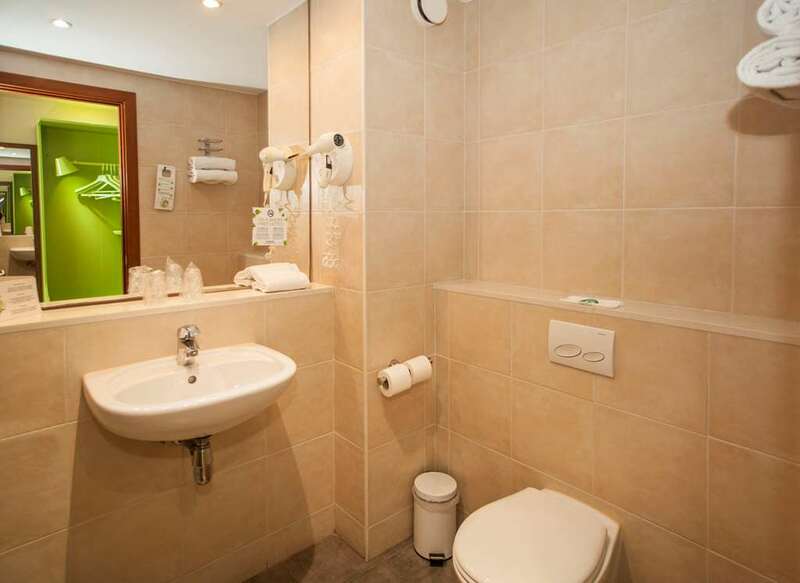 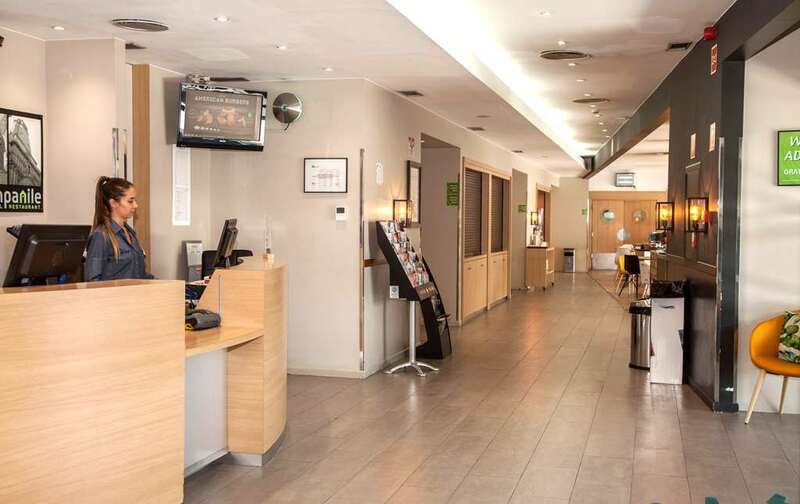 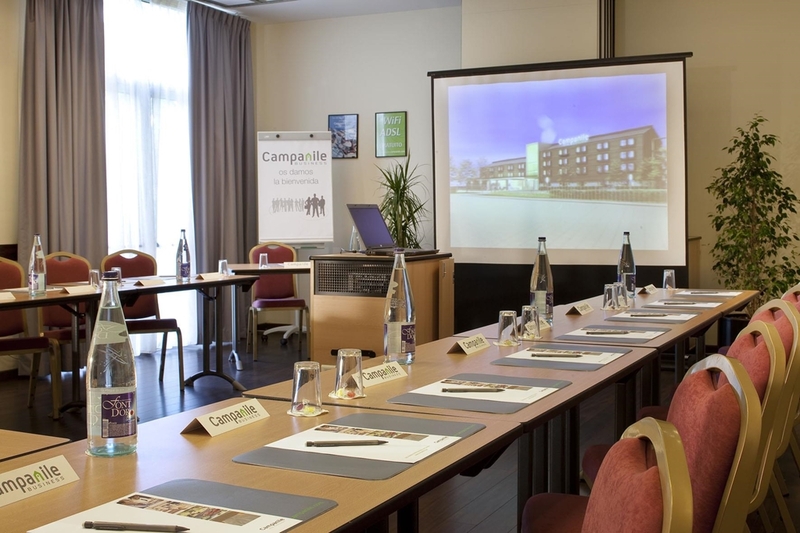 Hotel Campanile Barcelona Sud - Cornellà is located between the Barcelona El Prat Airport and the city centre. 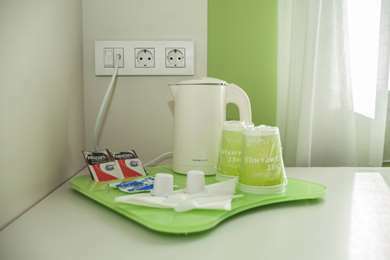 It has 138 rooms equipped with a flat screen television and a hospitality tray for making tea and coffee and to make your stay more comfortable. 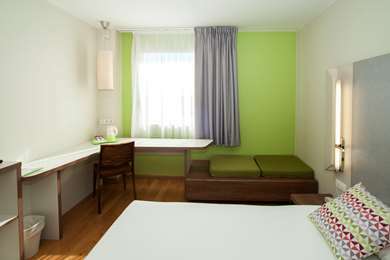 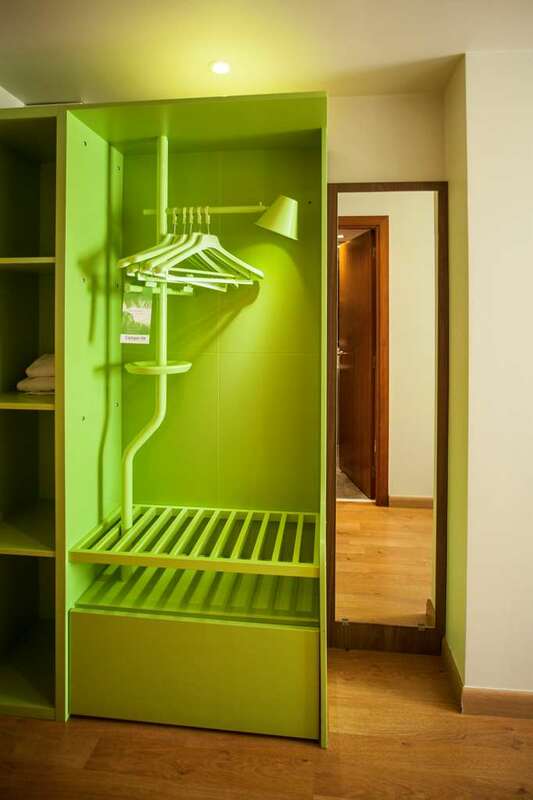 Each of the rooms is decorated with bright, modern colours, in a contemporary style. 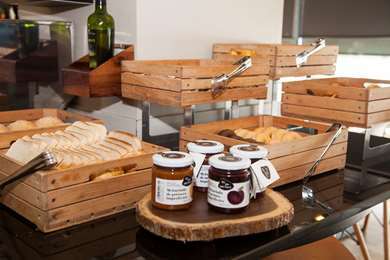 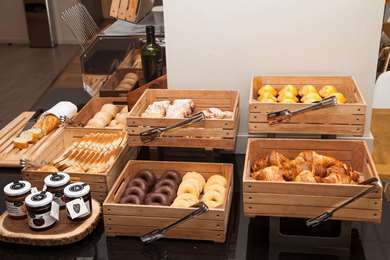 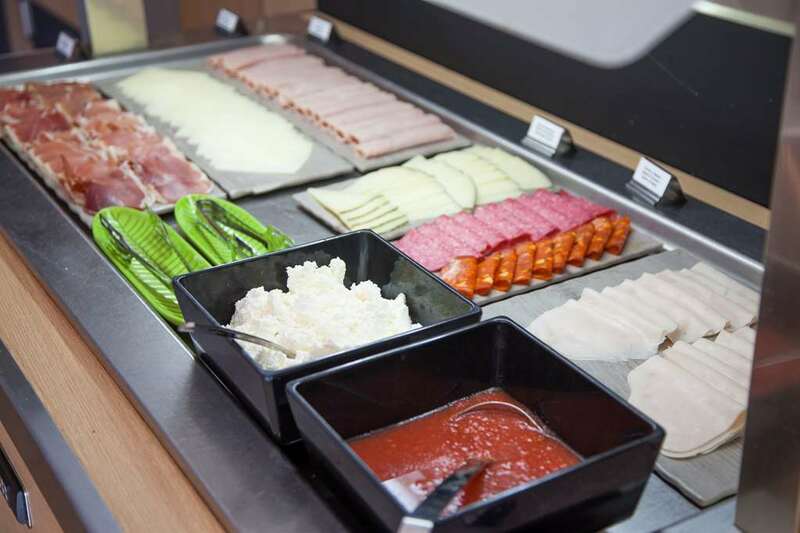 The hotel's restaurant serves a varied buffet breakfast with continental dishes or the typical English breakfast. 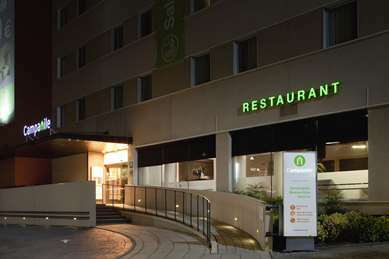 For evening meals, the restaurant offers Mediterranean dishes. 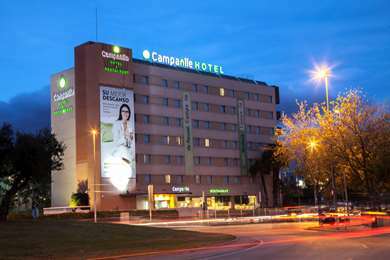 Fira de Cornellà is a few metres from the hotel. 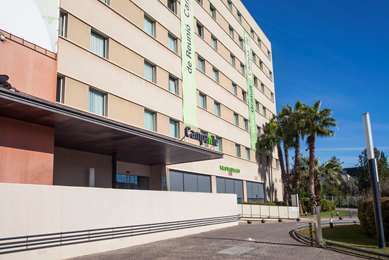 There are several buses and trains which will take you to Barcelona in 30 minutes. The FGC de Almeda station is 10 minutes on foot from the hotel. Hotel Campanile Barcelona Sud - Cornellà has 4 meeting rooms of the following dimensions: Gaudí 26 m², Miró 23 m², Dalí 64 m², Tàpies 49 m². 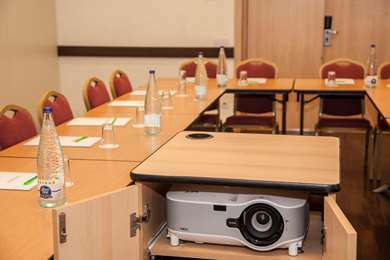 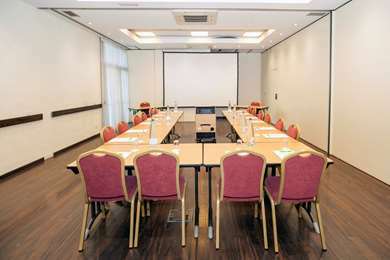 All of them are equipped with the latest technology: screen, LCD projector, TV, unlimited Wi-Fi connection. 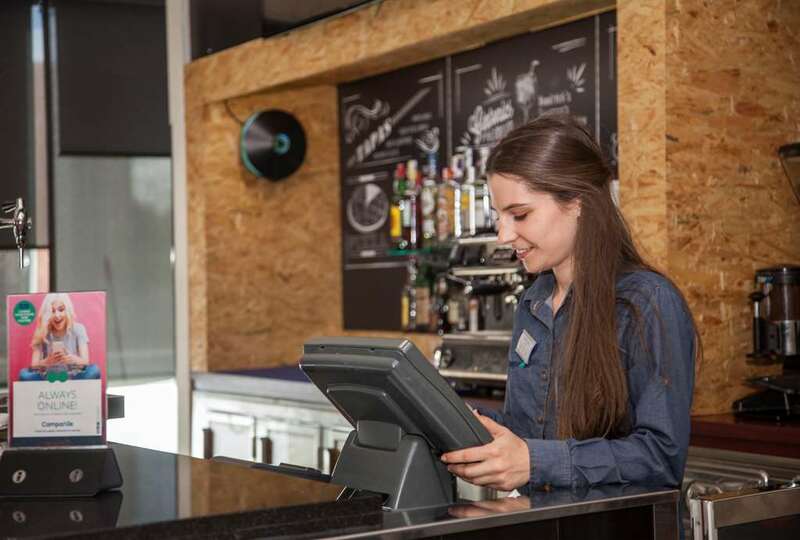 We offer customised and flexible half-day or full-day packages and a selection of services for your needs. 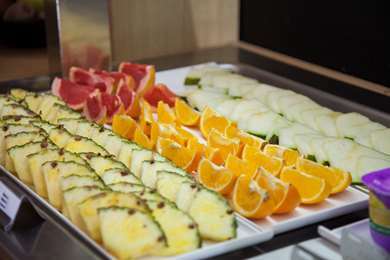 Sweet and savoury snacks. 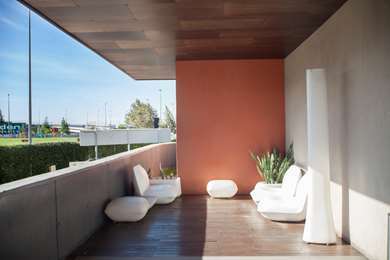 Modular spaces of up to 162 m². 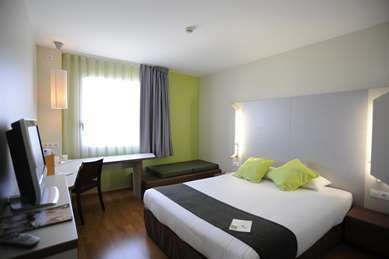 Rooms with natural light and air conditioning. 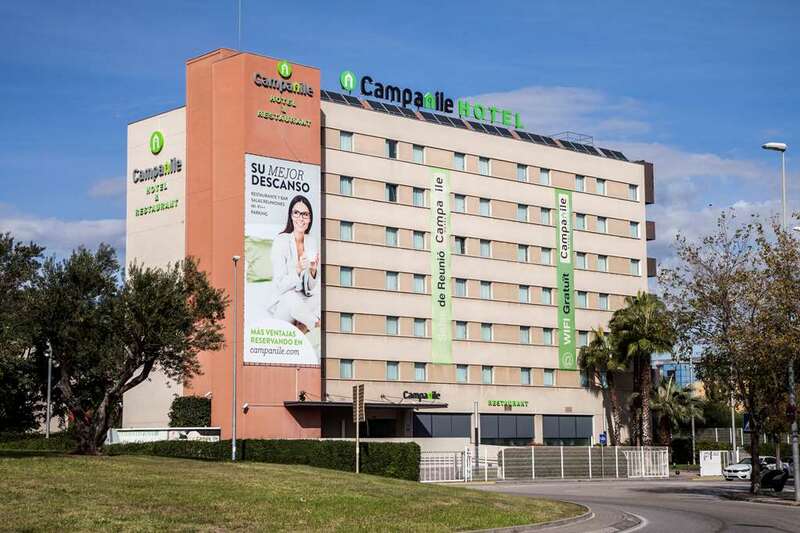 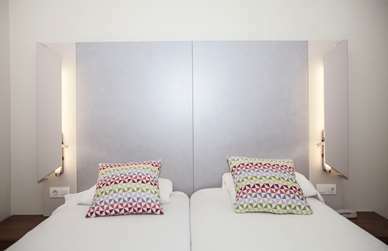 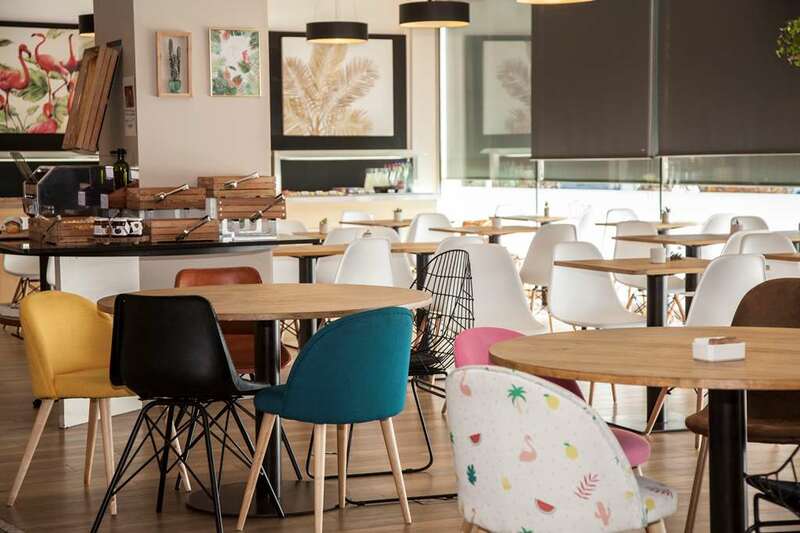 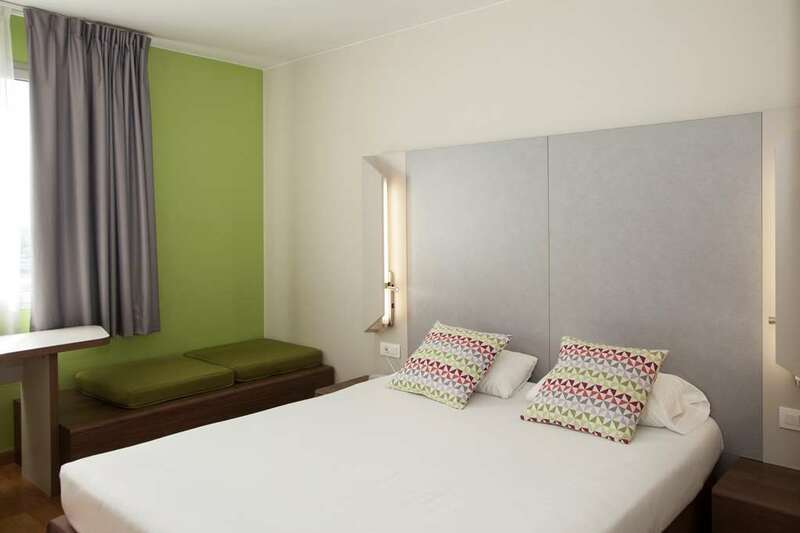 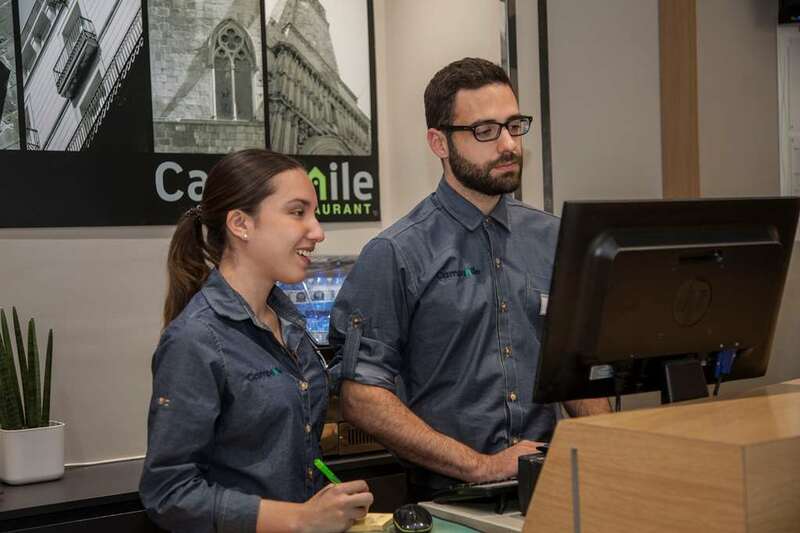 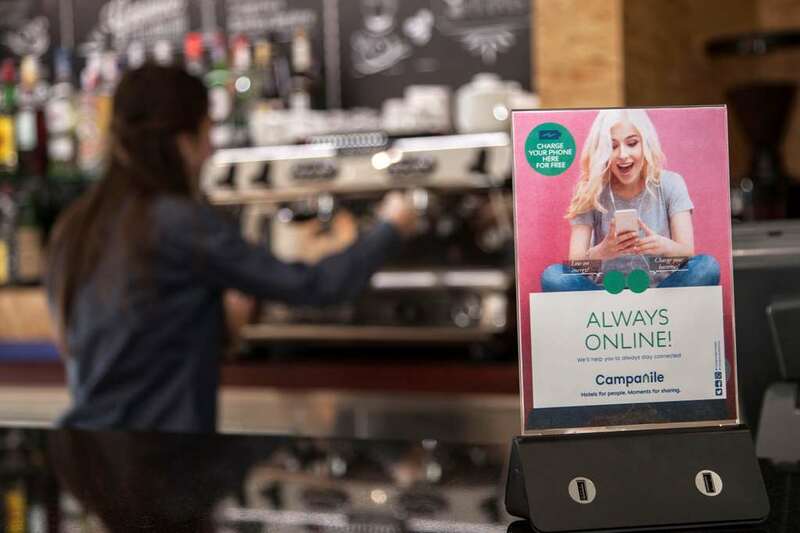 Hotel Campanile Barcelona Sud-Cornellà offers 60 rooms with double beds and 78 double rooms with twin beds, 4 of which are adapted for people with reduced mobility. 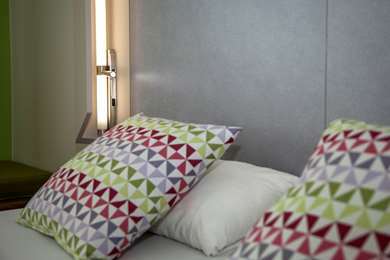 In all rooms, guests have air conditioning, flat screen TV with Canal + and international channels, free Wi-Fi or ADSL Internet connection, telephone, tea/coffee-making facilities and LED lights for reading in bed. 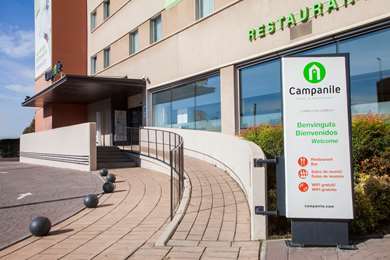 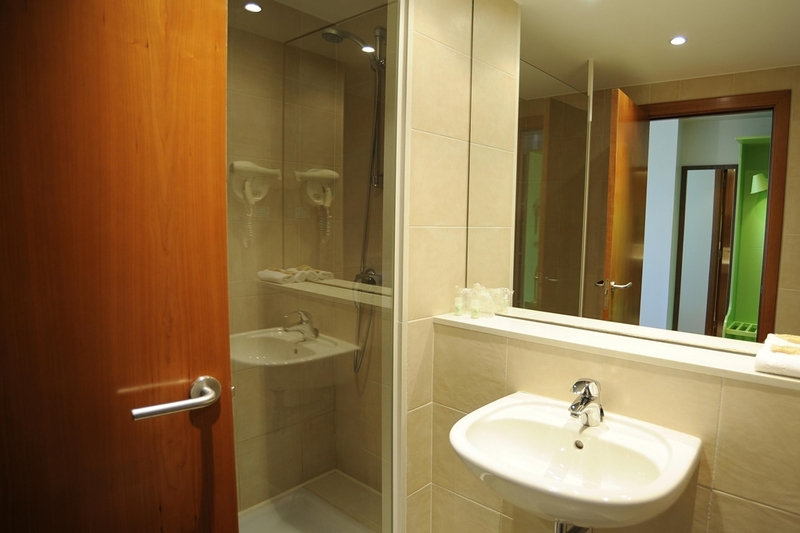 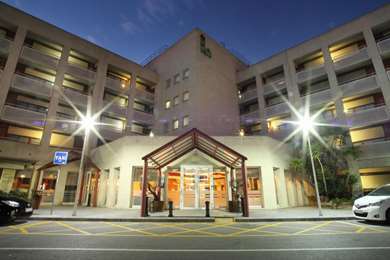 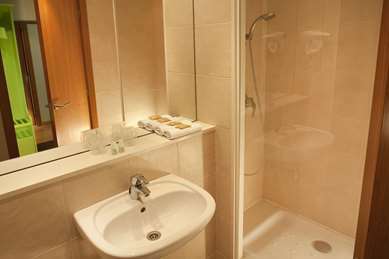 The hotel is fully adapted for people with reduced mobility, with ramps at the entrance, unobstructed flat floors and 4 rooms with a special wide entrance and bathroom doors, a special seat in the shower and a washbasin that is lower than usual. 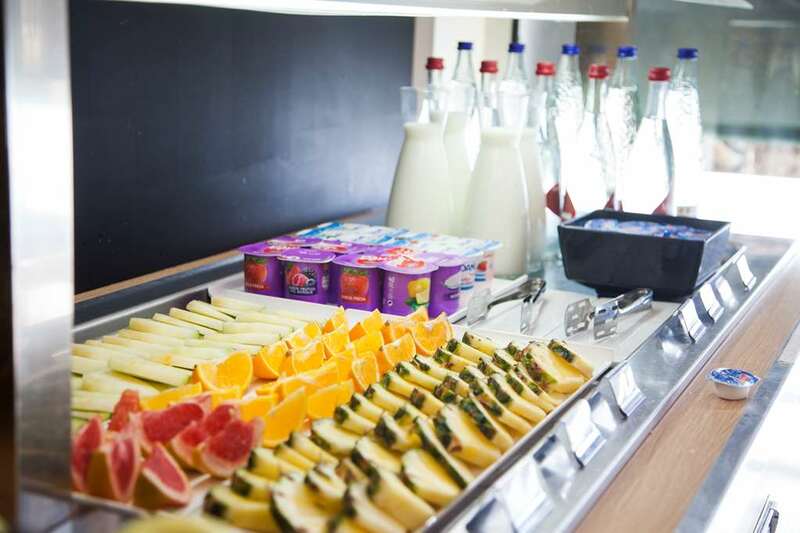 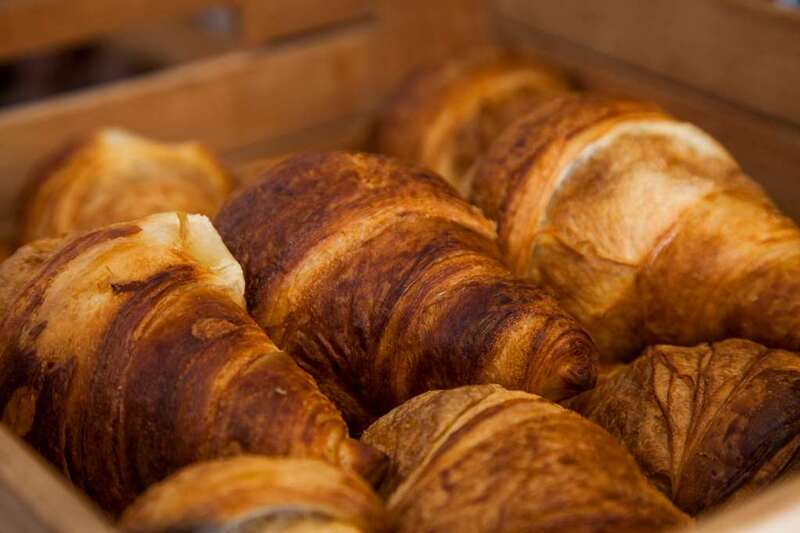 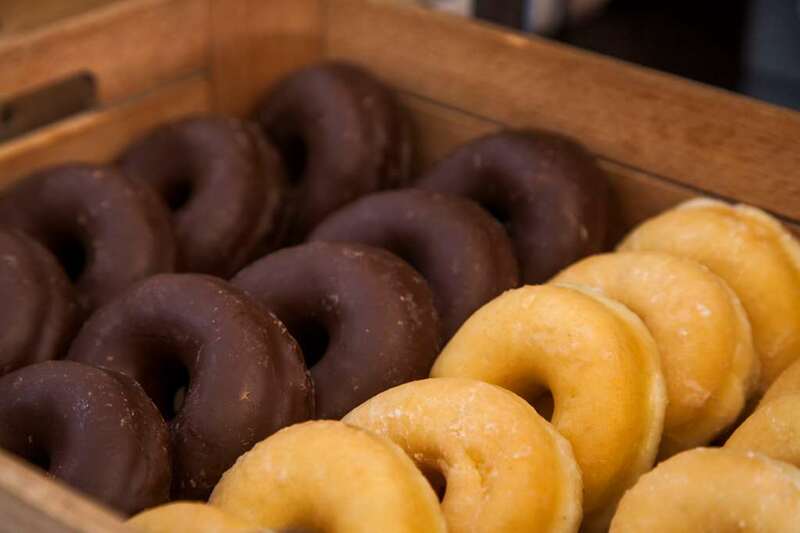 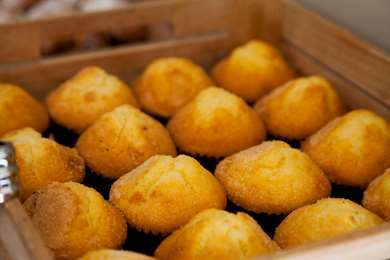 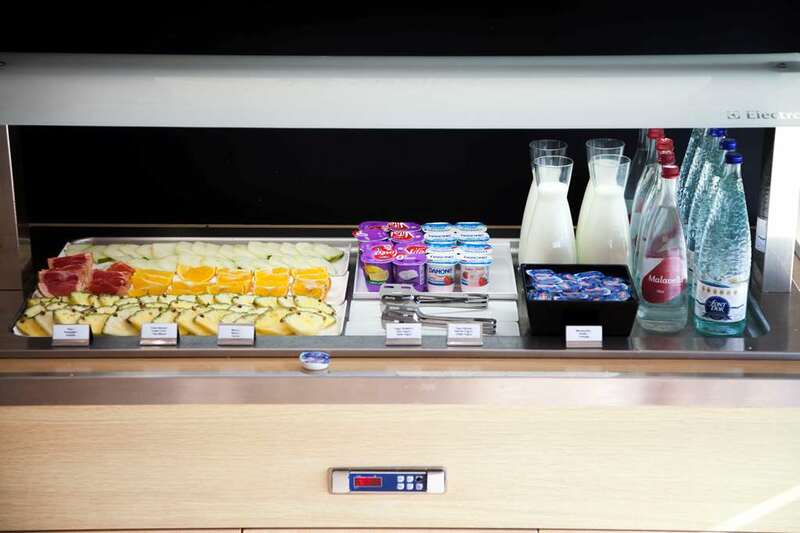 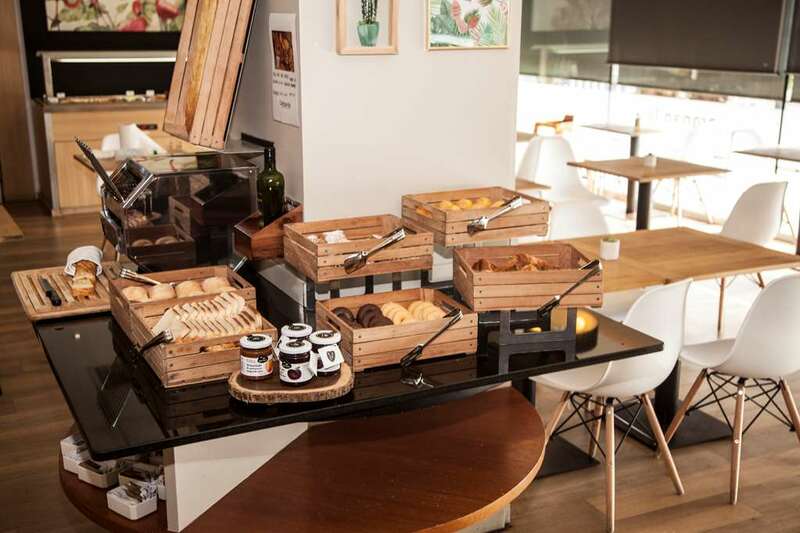 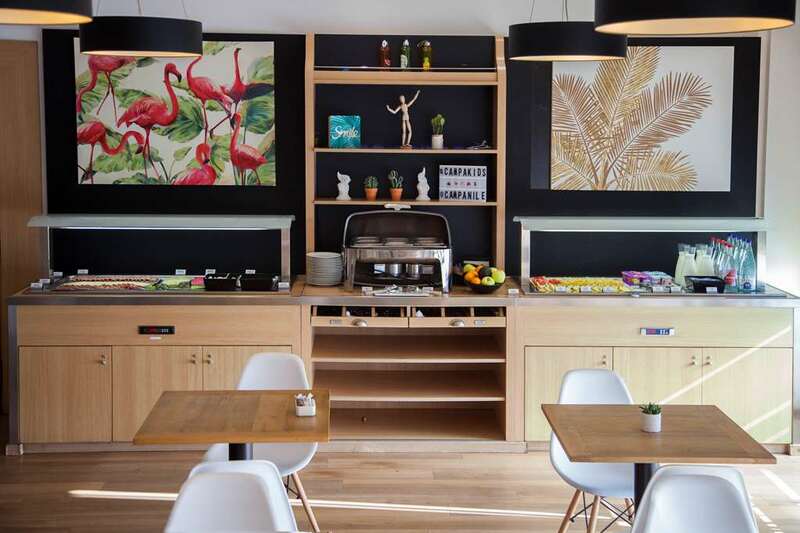 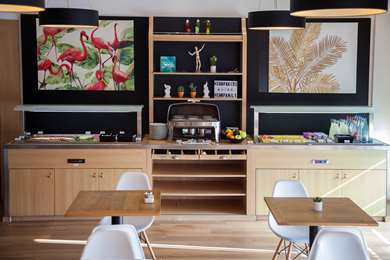 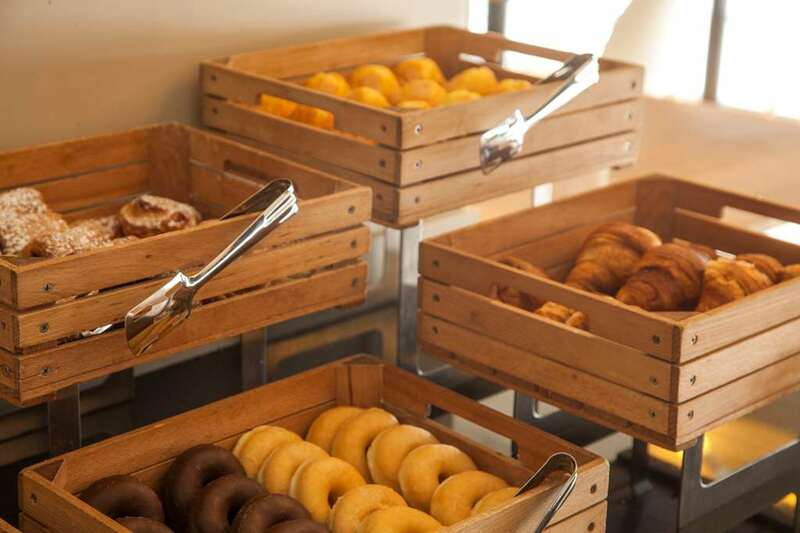 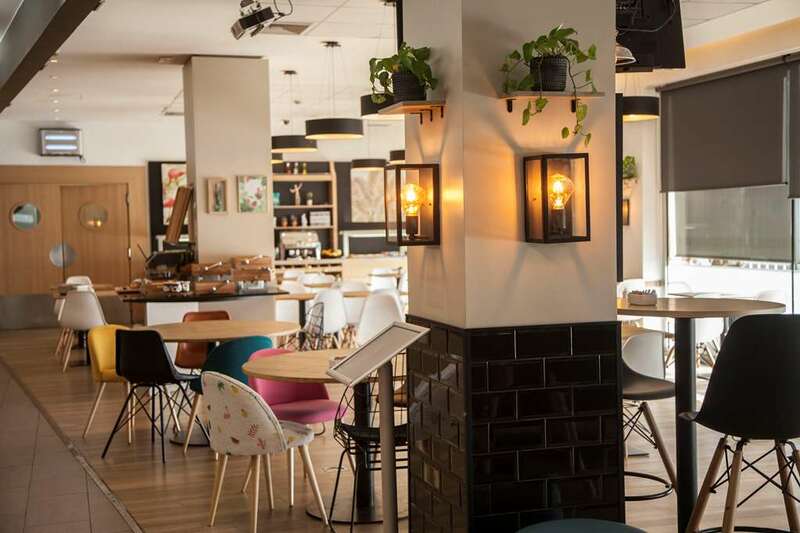 From 6.30 a.m. you can enjoy a balanced buffet breakfast of tea, coffee, fresh fruit juice, cereals, pastries, cheese and cured meats, yoghurts, etc. 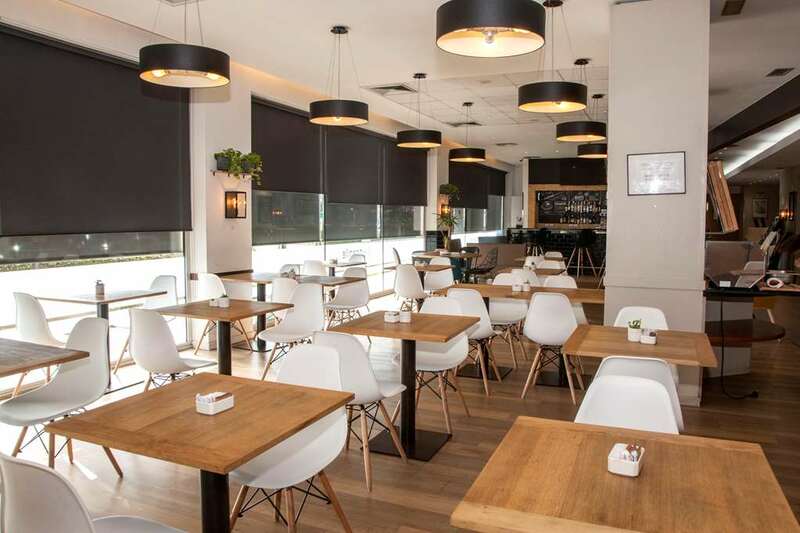 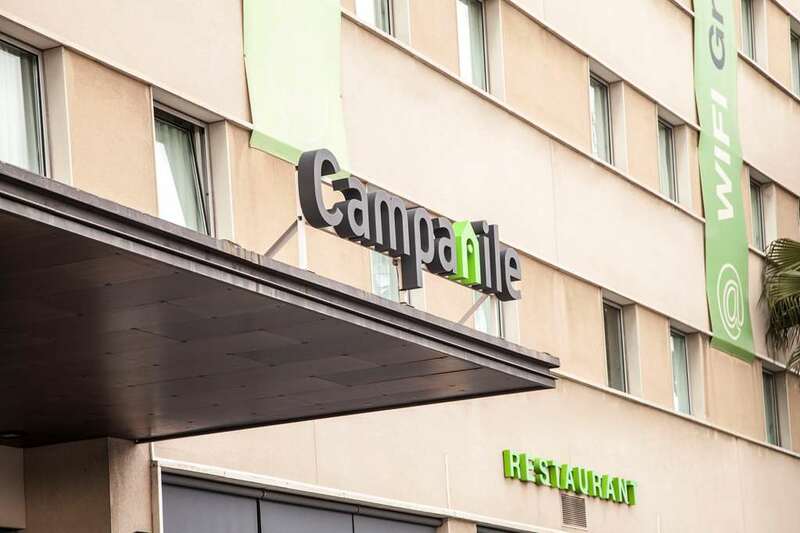 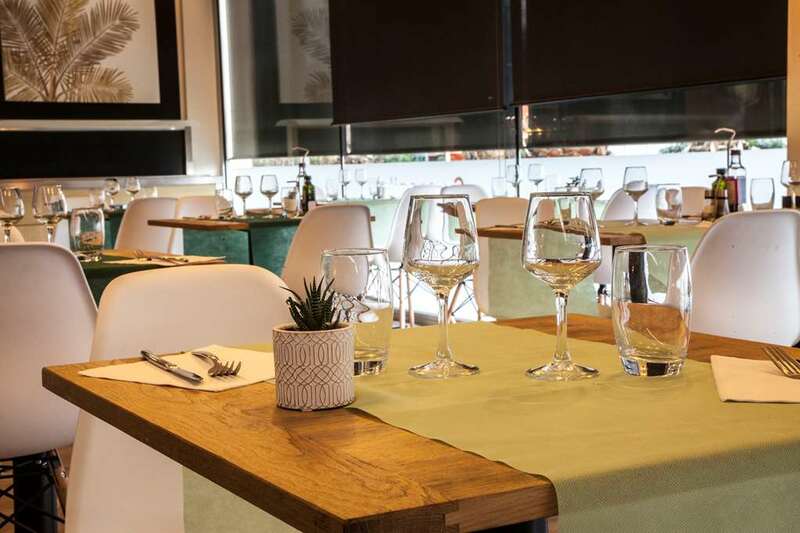 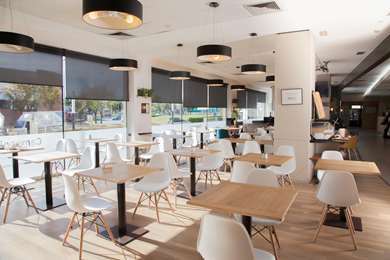 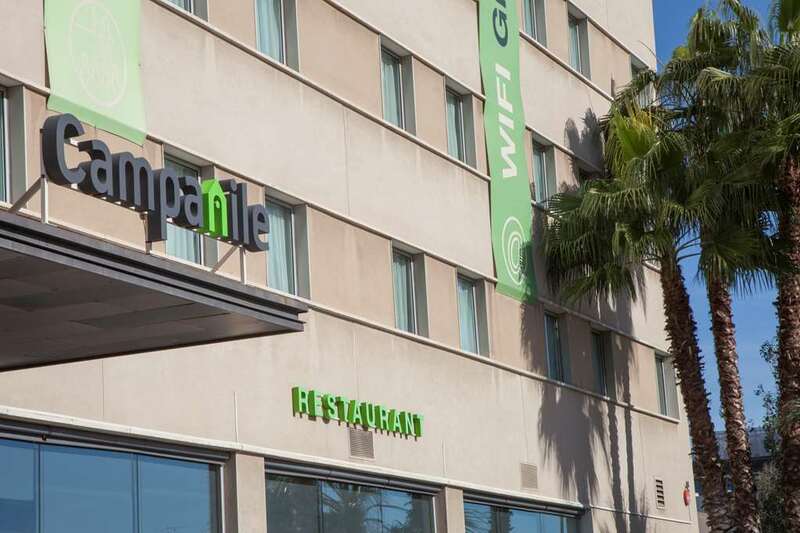 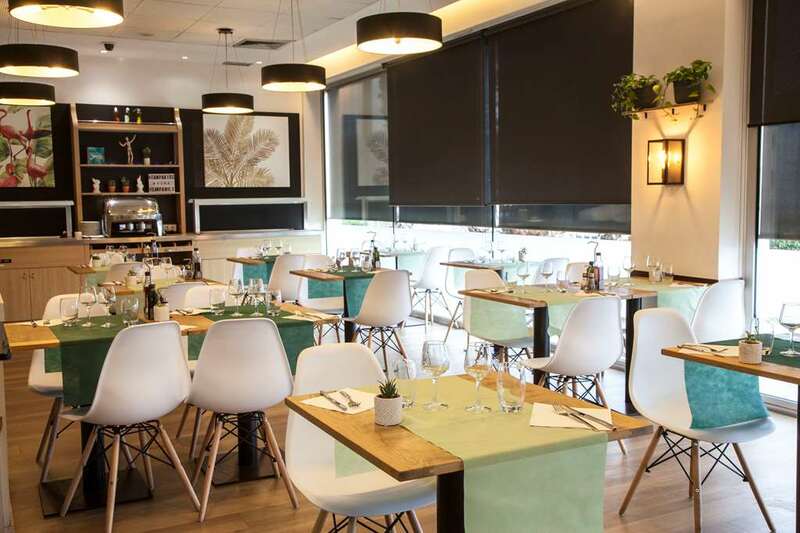 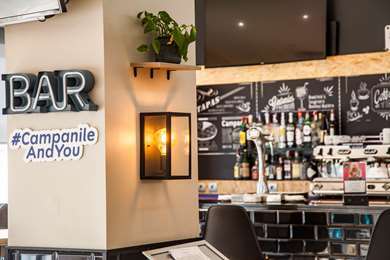 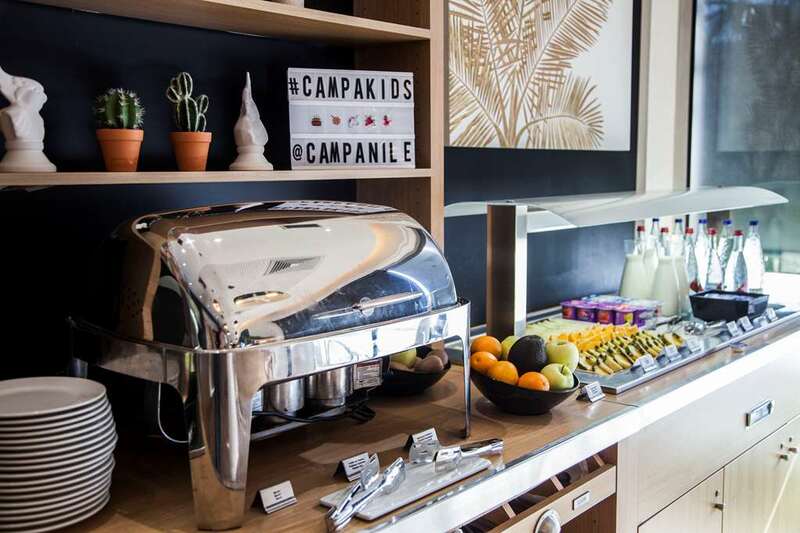 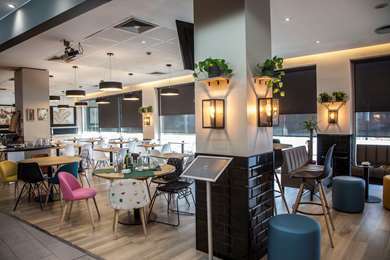 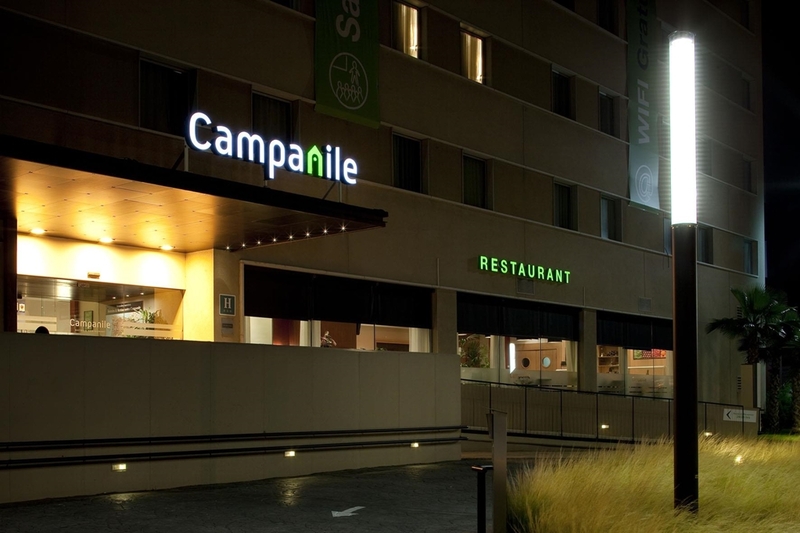 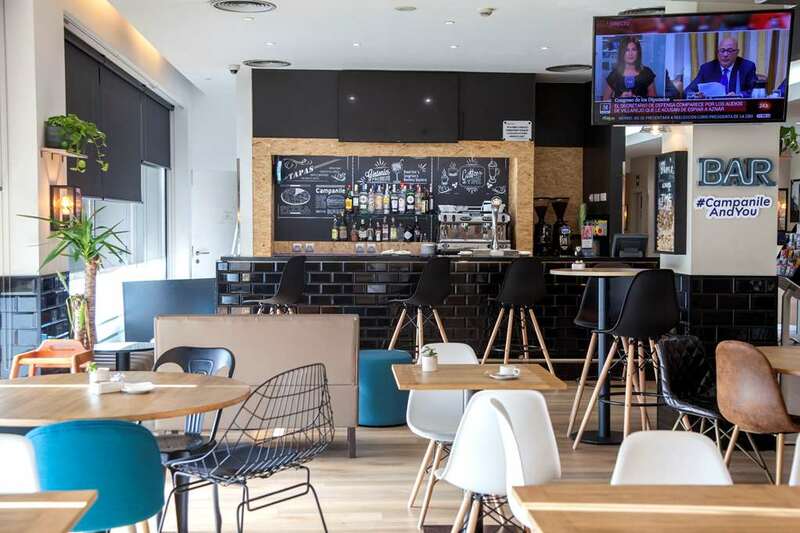 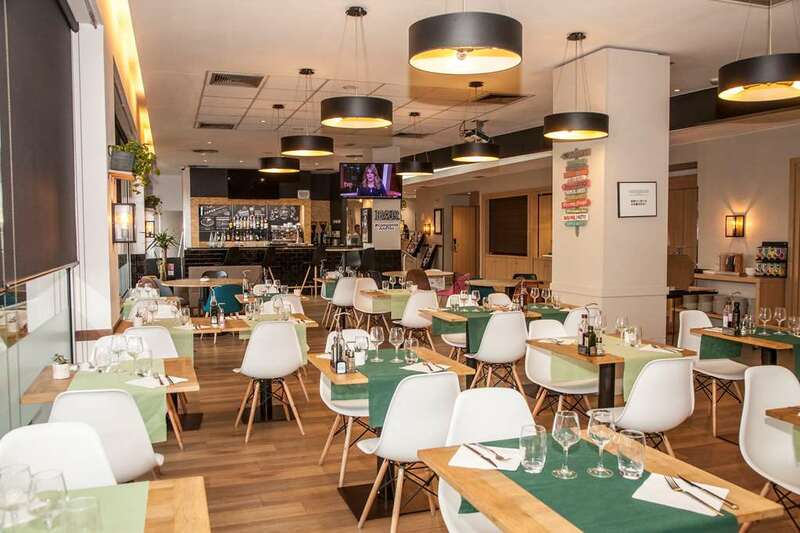 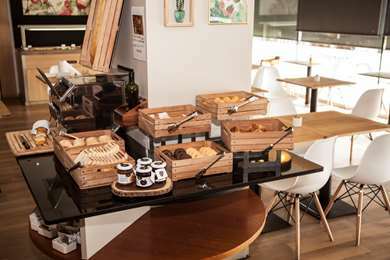 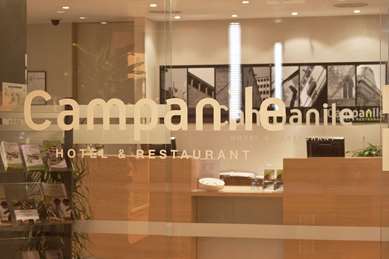 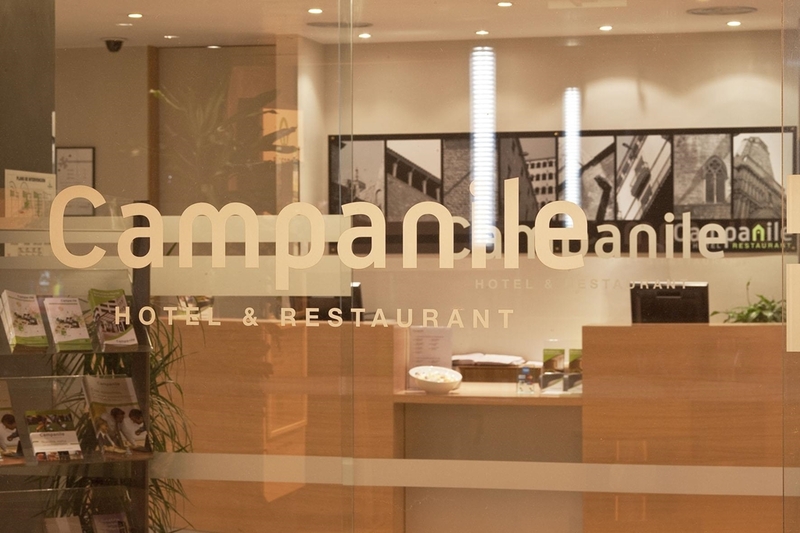 The Hotel Campanile Barcelona Sud - Cornellà restaurant offers contemporary, nature-inspired French cuisine. 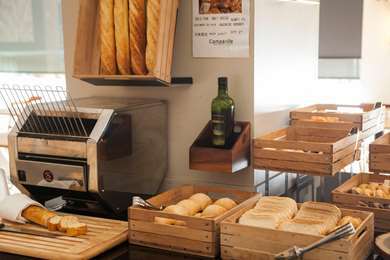 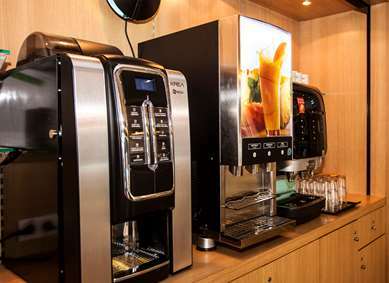 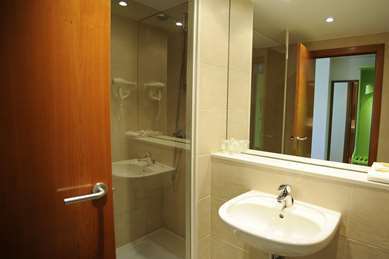 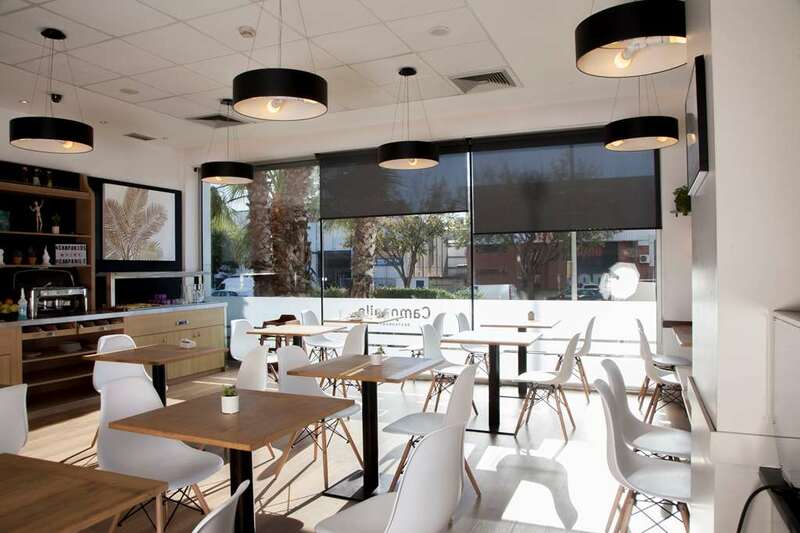 It can accommodate 40 people, with a buffet, snacks and à la carte dishes. 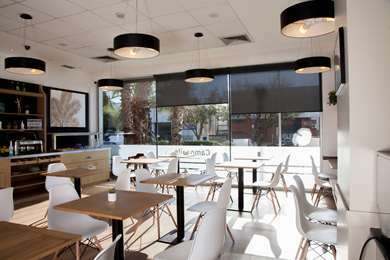 It is open for breakfast and dinner service.